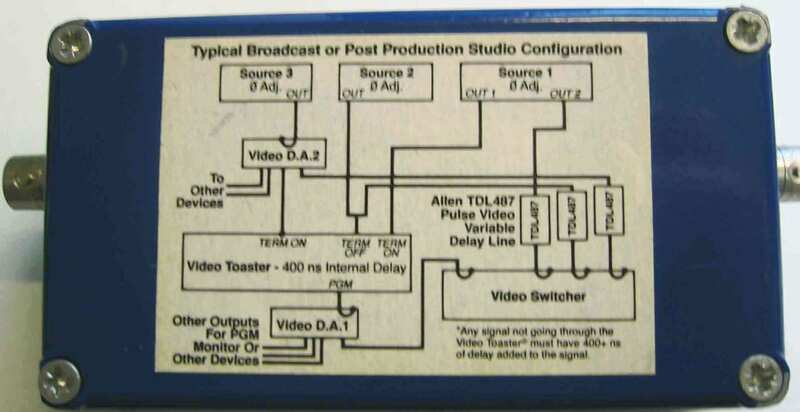 The TDL 487 is a delay line which was designed to be used in a video suite, particularly where the Video Toaster is incorporated in the video upstream from other devices. 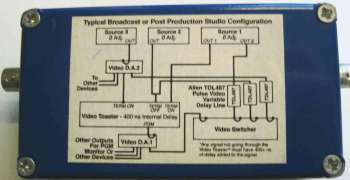 It adds a delay to the other lines to compensate for the delay imposed by the Video Toaster. It has a fixed delay of 360 nanoseconds with 127ns variable delay. The switches on top an accumulative delay, specified by the number above the switch. 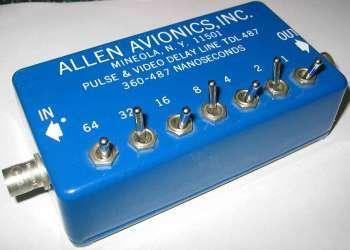 There is a BNC composite connection on either end of the unit. The size of the unit is 4" W x 2.5" D x 1" H.